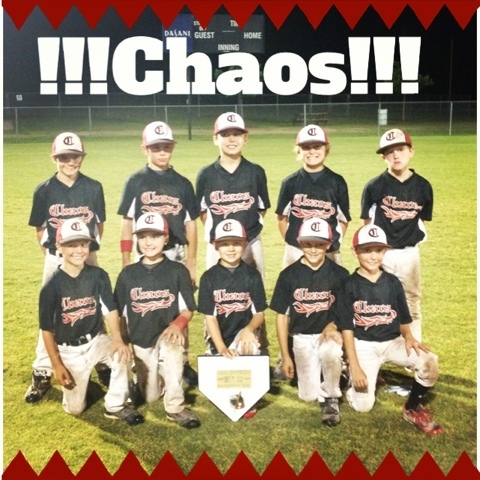 I can't believe baseball is over! What will we do with ourselves without practice at night and games on the weekends! I guess we will just enjoy summer and spend some time at the lake! I am sure football practice will start before we know it! 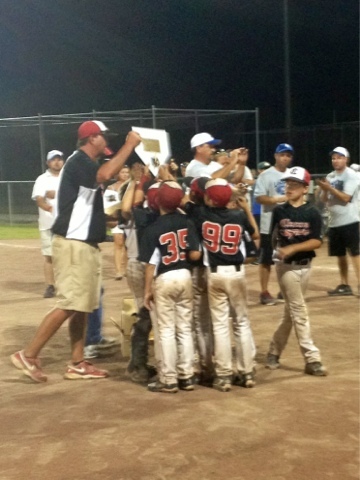 The team getting the 2nd place team trophy! 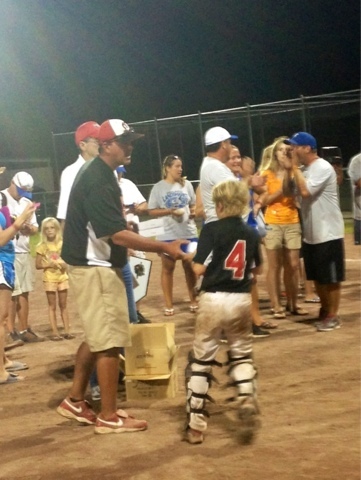 JP getting his individual trophy! 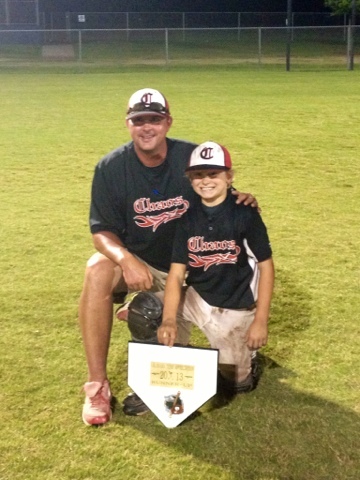 Jackson and his head coach! Good Job JP!!! We are proud of the baseball player you have become!